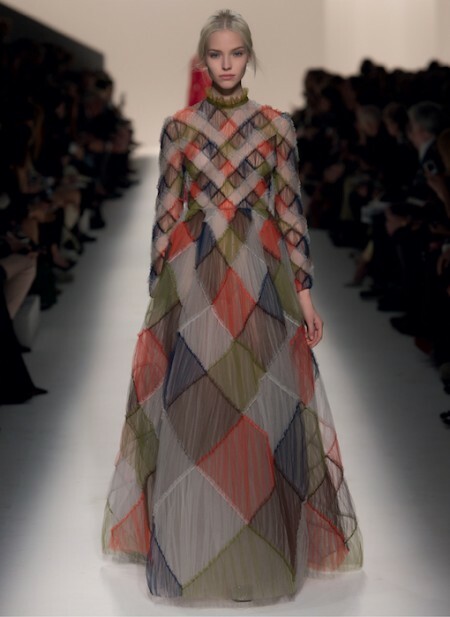 It’s a new era for Valentino…a really spectacular one too. Designers Maria Grazia Chiuri and Pierpaolo Piccioli have taken the reigns of this timeless house and transformed it into what it is today— magical. 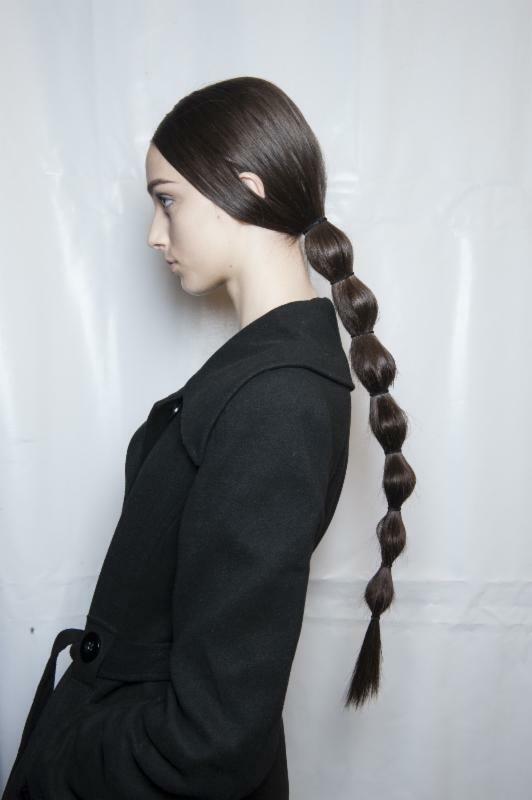 For their Fall 2014 PFW collection, the two drew inspiration from the 1960s mod scene and Pop Art. This collection also feels like a walk through an enchanting forest. It’s a difficult mixture to concoct, but have no fear, this line is breathtaking. There’s reds, grays and plenty of modish prints to go around. The multicolored leather squares are cute on skirts and short minidresses. Even an amazing trench coat dons the retro fab print. Short capes are timeless and tailored wonders. Speaking of wonders, the butterfly embellishments on long capes and dresses are also incredibly charming. The last looks, a slew of gorgeous evening gowns, really bring this collection full circle. The girls including Sasha Luss and Malaika Firth look like they wandered in a lustrous English garden, coming back with fresh floral and butterfly details. They’re sheer, delicate and breathtaking! There’s such an ethereal undertone throughout…they’re princesses of the forest. These looks chant the 60s spirit, we know, has never really left. It’s just taken a detour, coming back with an even higher spirit. This is a knockout set, one that even brought Valentino [himself] to tears of joy. We can see why! fdmLOVES VALENTINO Fall 2014 selects by Brigitte Segura, written by Allison Ripa.